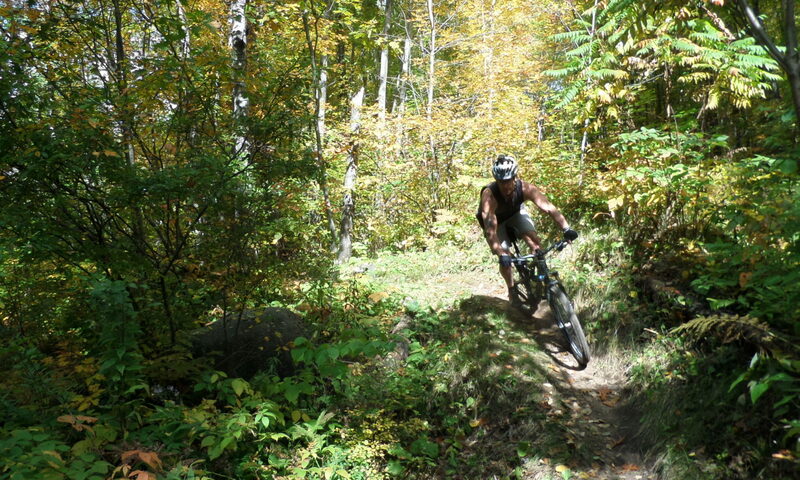 Rhinelander Area Silent Trails Association – Silent sports enthusiast promoting the responsible use of lands open to the public for the enjoyment of all. Current Fundraiser Project Info Here! The Rhinelander Area Silent Trails Association (RASTA) was originally created in 2006 as a subcommittee to the Oneida County Biking and Walking Trails Council (OCBWTC) to raise funds and construct the Perch Lake Shelter in the Washburn Lake Silent Sports Trail Area in the Oneida County Forest. That task was completed in 2010 and then a few members of RASTA began taking care of the mountain bike, snowshoe and hiking trails at Washburn Lake and at Mud Lake near Rhinelander. RASTA broke away from the OCBWTC and incorporated in the State of Wisconsin in late 2010 in order to focus on our mission. We held our first meeting on January 3, 2010 electing officers, a board of directors (BOD), and created by-laws for the organization. We immediately began working on becoming a non-profit Section 501 (c) (3) corporation and received that designation on June 26, 2012. RASTA has evolved into a very dedicated core of people that spend their spare time maintaining and building the trails at Washburn, Mud Lake, Cassian, Nose Lake and the Enterprise Primitive trails. RASTA’s strength comes from our enthusiastic membership that logs hundreds of annual volunteer hours, as well as from our sponsors. We are a hands-on entity and strongly encourage our members to be active in the maintenance of trail systems. Below is a short list of just some of what RASTA has either initiated, built or is actively pursuing. RASTA helped Oneida County fund and build the Judy Swank Perch Lake Shelter, and its members put in mile after mile of multi-use, non-motorized trails (skiing, mountain biking, walking, hiking, running, snowshoeing, snow biking). Built and maintain several miles of silent sports trails (i.e., mountain bike, hiking, snowshoe, and winter fat tire biking) at our Mud Lake trail system on public and private land and we built an additional parking area on Crystal Lake Road. We groom and maintain the cross country ski trails at Washburn, Nose Lake and Cassian trail systems and providing timely, accurate grooming reports to promote the use of the trails. We groom the Enterprise Primitive Trail system for fat biking in the winter. We constructed a garage at the Nose Lake trails to store ski grooming equipment, and have purchased snowmobiles, Tidd Tech groomers, and other ski trail maintenance equipment. RASTA hosts various competitive, family-friendly silent sports events, including the Braveheart Snowshoe Hare Snowshoe Race, Nicolet National Bank RASTA Rally Mountain Bike Race, Washburn Rock ‘n Root Mountain Bike Endurance Race, as well as the annual and non-competitive “Poker Run” on snowshoes and skis. Together, our efforts draw hundreds of competitors and countless visitors to our county each year, and provide our local enthusiasts with many miles of pure enjoyment. Our members wield Pulaski axes, McLeod rakes, Rogue hoes, leaf blowers, brush cutters, chain saws and elbow grease. We’ve put in bridges, re-routed trails to be sustainable and keep the trails clean all season long, from snowmelt to snowfall. To assist with these ongoing efforts, RASTA has purchased a mini-Bobcat excavator. Such a piece of equipment is essential to constructing more entry level, beginner-style trails so that more children and adults learning to use the trails will be able to do so safely. All of these efforts take money so please consider helping our community by sponsoring RASTA on any level you feel comfortable with. For more information, email info@rastatrails.org.